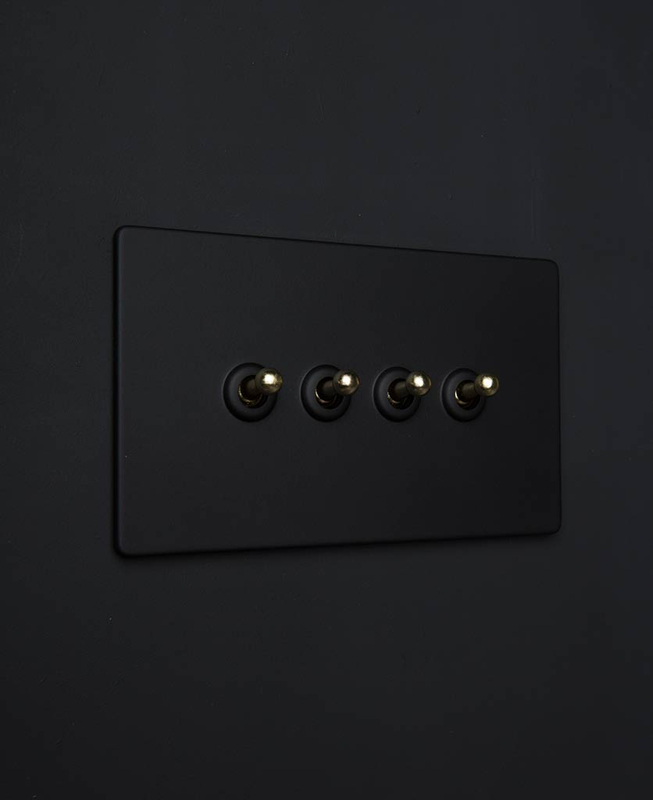 Our unassuming black quadruple toggle switch is exclusive. We designed this, and the rest of the range, to fit perfectly in vintage industrial style interiors. We wanted high-end quality and style but without the designer price tag. Voila. 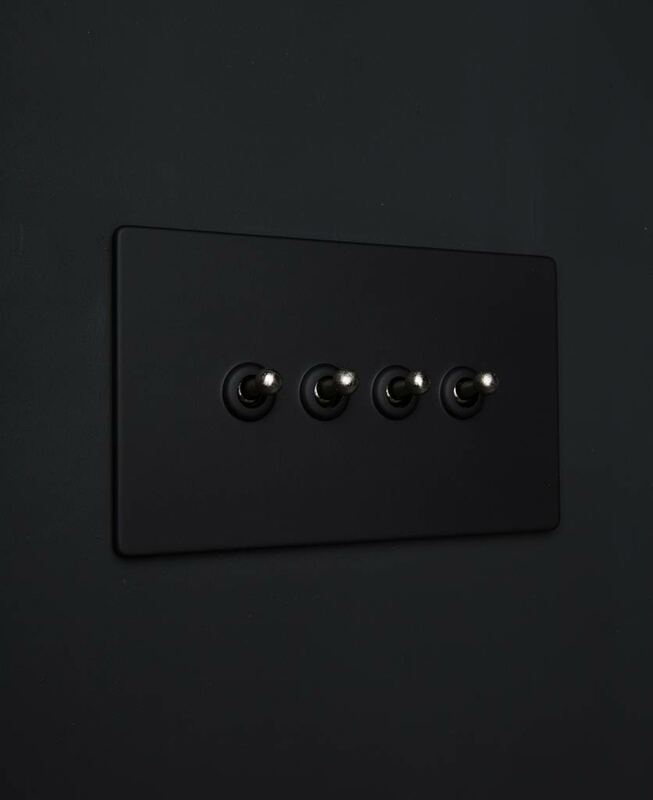 Our black quadruple toggle switch is so slick. If you love retro styling and attention to detail without fuss. 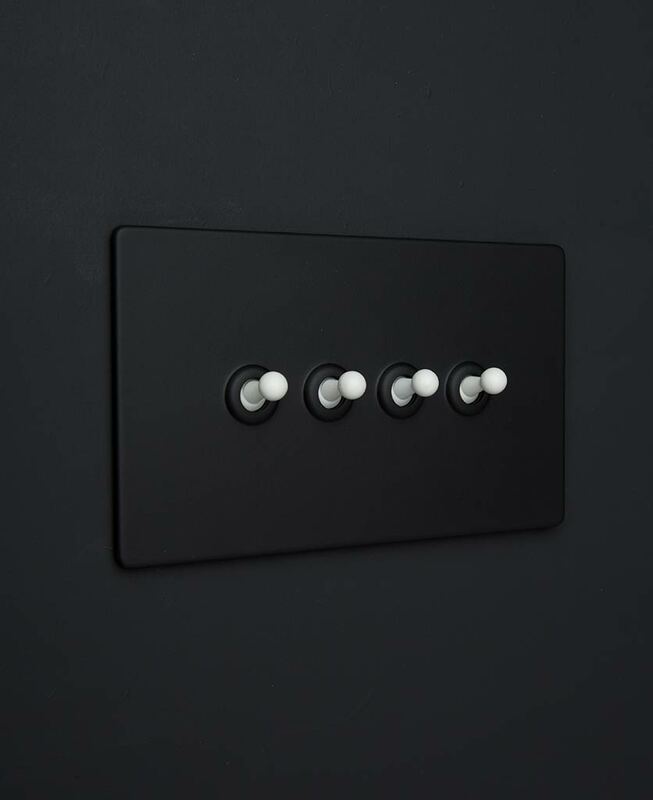 This is your kind of light switch. What’s not to love about a black switch. Black that’s as deep and dark as a coal pit in the middle of the night. Intense. 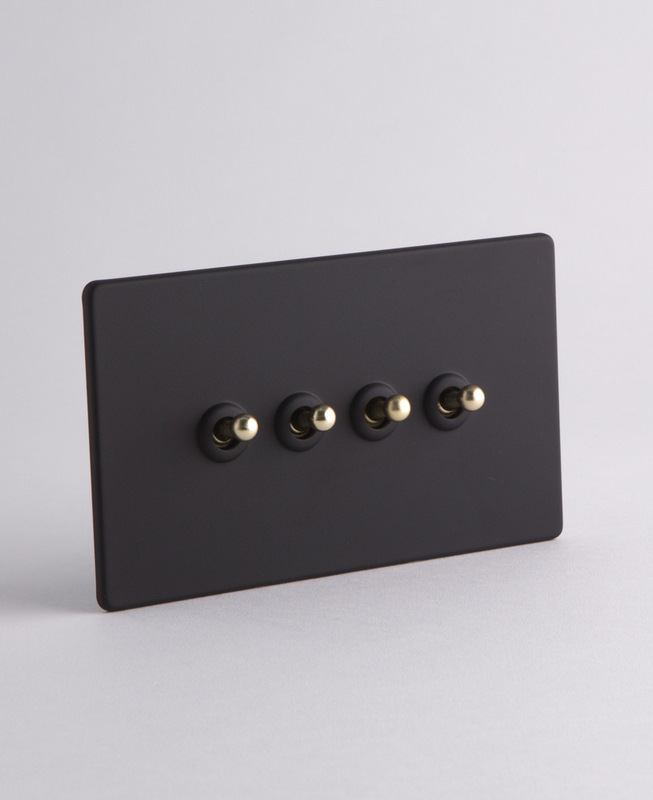 The back plate is matt black too which contrasts beautifully with the gloss of the toggles. It’s just an absolute delight to behold… If you’re a fan of black. 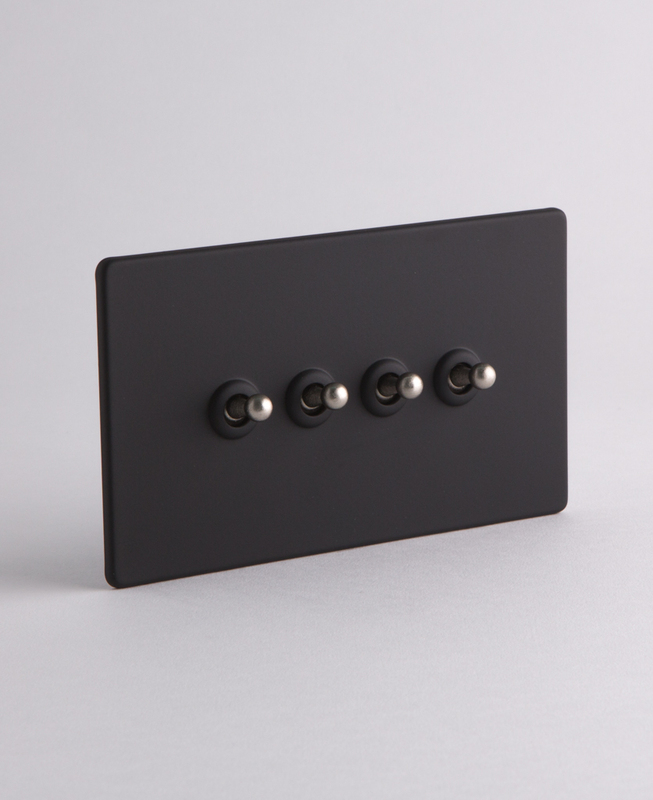 Fix these rather retro style switches to any wall and immediately improve its appearance. There is no cooler way to turn your lights on and off. And you can control four separate light sources from this beauty. That’s a whole lot of light including wall lights and pendant lights. 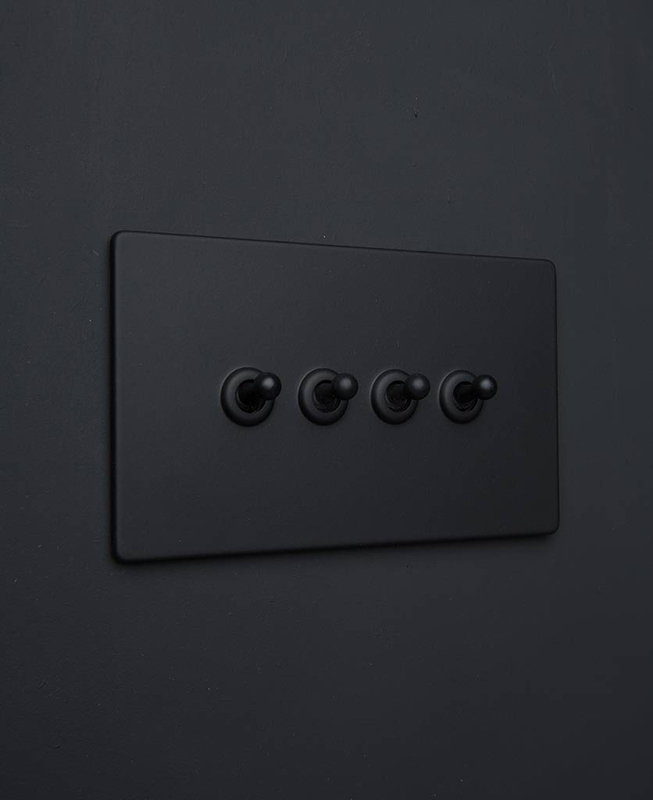 If you’re confused by all this speak of 1 gang, 4 gang and more… check out our guide light switches explained and find out the difference between them as well as when to use 1 way, 2 way and intermediate switches.